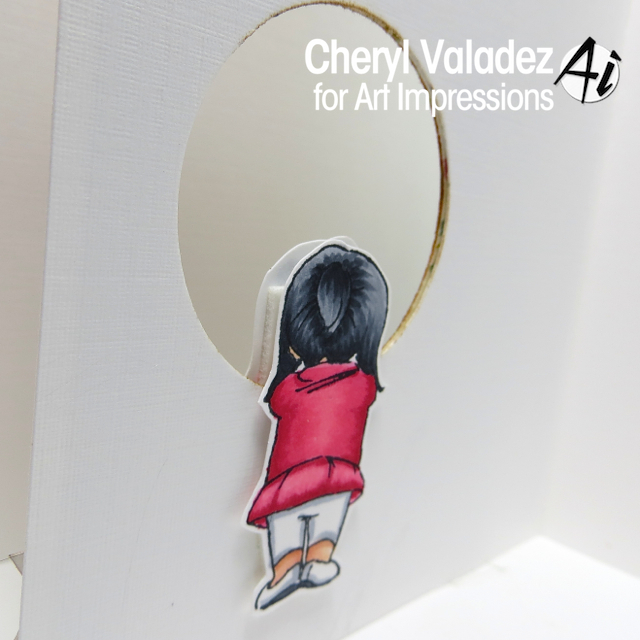 The Ink Trap: Sweet and Simple using Art Impressions Stamps! Hey, all! I've been on a bread baking kick so tonight rather than working on my card that was due for the Art Impressions Blog (because I NEVER work ahead), I ended up baking 2 loaves of sourdough bread, making dough for bread tomorrow night, making 2 batches of starter for bread 2 days from now, and last but not least refreshing my mother starter. Whew! That was a lot of baking and prep, but the even bigger task was washing all the bowls that were harmed in these activities. About midnight, me and my pruney fingers found our way to my studio and made this card. It needed to be quick and easy, because after all, it's midnight. This came together pretty quick, but frankly it could have been quicker for me, LOL! Find this Boy and Girl Mini Set in the Ai Shop along with lots of cool stuff. Also, visit the blog daily for inspiration from the DT. Bread making sounds just as fun as card making....and the smell in your house must have been delicious! Your card may have been quick but it sure is sweet!